The rate of urbanization refers to the projected average rate of change in the size of the urban population over a given period of time. In some areas of the world, urbanization is happening rapidly. The rate of urbanization refers to the projected average rate of change in the size of the urban population over a given period. The rate of urbanization is caused by several factors like high birth rate, rural-urban migration and the rapid development of rural environments to urban. The rate of urbanization is different from the urban population which represents the percentage of the total population that reside in the urban environment. This article looks at the countries with the highest rate of urbanization in the world. Years of internal conflict has left Burundi politically and economically unstable. Ethnic conflict in rural areas sparked a massive migration to urban areas that were considered safer due to the involvement of the United Nations, and where most of the refugee camps had been established. After several years of conflict and the intervention of the international community. Calm was restored in the country, but the refusal of President Pierre Nkurunzinza to step down has sparked the country back into conflict, and people are migrating from the urban environments that are most affected. Malaysia is among the most urbanized countries in the world. 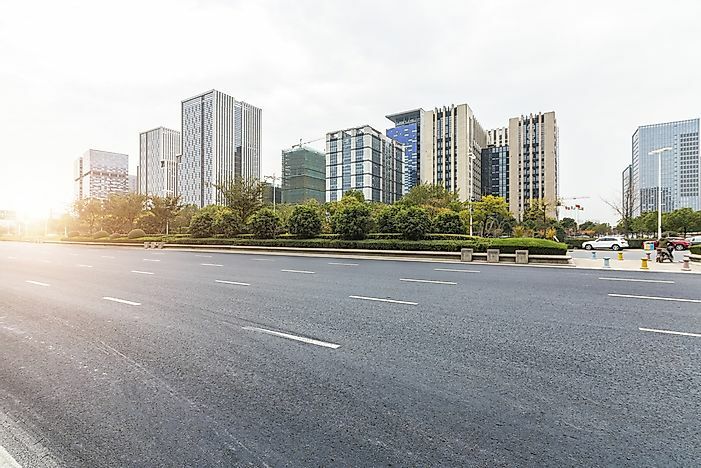 According to the World Bank, 74% of the population reside in the urban environment, a figure that is likely to grow even higher considering that the urbanization rate stands at 6.8%. Most people are migrating from rural to the urban environment in search of improved living conditions and better amenities regarding schools, infrastructure, healthcare, and job opportunities. The West African country of Liberia has an urban population of 49.7% and an urbanization rate of 5.6%. Just like other developing countries in Africa, it is experiencing rural-urban migration of people seeking better living conditions. One of the major cities affected is the capital city Monrovia where overcrowding has led to the lack of proper housing and the development of slums. The youth are moving into cities in search of better education and job opportunities. As the country’s economy continues to recover from the civil war of 1989 to 2003, it is expected that population growth in cities will continue to rise. As at 2015, the population of Laos stood at approximately 6.8 million. The urban population density is 36.5% of the entire population while the urban population growth rate stands at 5.6%. Laos is infamous for being the world's most heavily bombed country when the US dropped nearly 270 million bombs, a situation that led to mass displacement of people. Rural-urban migration is mainly due to the need for better living conditions, better access to social amenities and job opportunities. Urbanization results in better living conditions and more job opportunities, but at the same time, it leads to overpopulation of cities and the rise of slums as in the case of Monrovia. Shortage of food and agricultural produce in some countries has also been linked to the migration of youths who prefer white color jobs. UNESCO estimates that by 2030, nearly 61% of the world’s population will be living in cities.